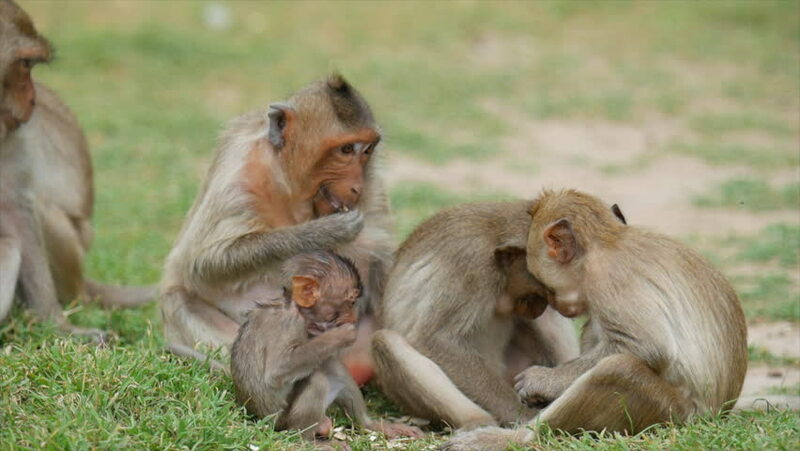 4k00:17Monkeys are sitting on a tree. Jungle of Asia. Wild monkeys live in the forests of Nepal and India. hd00:29Several wild, young lions belonging to a pride laying together in the late afternoon in the grasslands of a nature park in Kenya during a safari. 4k00:36Group of Balinese long-tailed (Macaca fascicularis) adult and baby macaques sitting together against green foliage on background. Animal social activities concept. Bali, Indonesia. Camera stays still.